When three fashion girls with a combined 30 million Instagram followers show off the same bag, you know it's about to blow up. 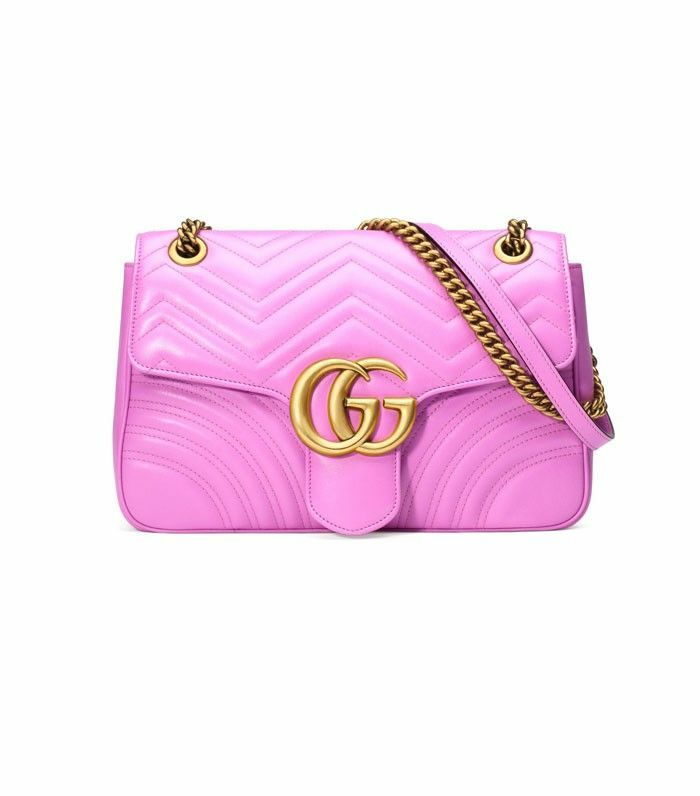 Gigi Hadid, Rosie Huntington-Whiteley, and Chiara Ferragni all posted images of Gucci's new GG Marmont Matelassé Shoulder Bag ($2300) recently, so we're confident saying that it's already well on its way to It-bag territory. Celebrity and blogger approval aside, Gucci is known for churning out the most covetable bags every season. Look no further than the Emma Roberts–adored Soho Bag and the Dionysus Bag for proof. With its vivid statement-making pink color, quilted detailing, and sophisticated gold hardware, it's not hard to see why the GG Marmont Matelassé will be able to join the ranks of the brand's most enviable bags. Whether you're ready to invest in the bag or want to go the more affordable route with a similar accessory, consider pairing it with neutral pieces to let the bag truly take center stage. Scroll down to see the best fashion girl Instagrams showing off the new Gucci It bag! spot Michelangelo ... ;P ???? @voguemagazine ???? Is this bag on your dream wish list? Tell us in the comments below, and then shop more Gucci accessories!